Variety brings word that NBC is planning on bringing back the recently canceled series Timelessfor a two-part series finale. The series finale will allow the massive cliffhanger at the end of the second season to be resolved as well as giving fans a proper conclusion as the story finally wraps up. 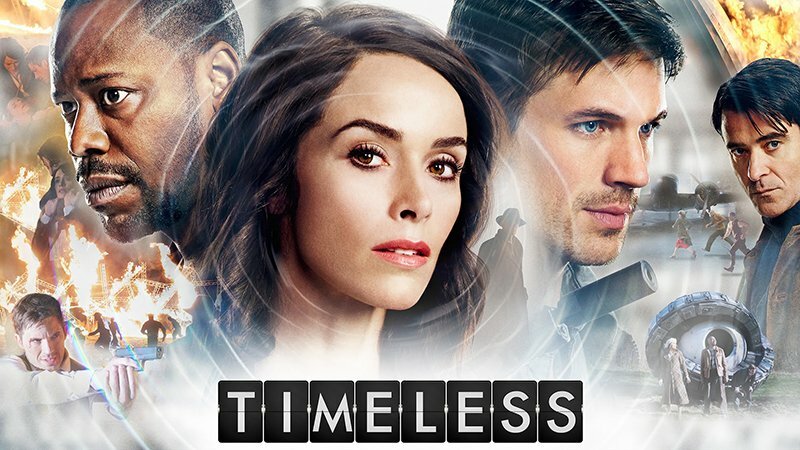 brings word that NBC is planning on bringing back the recently canceled series Timelessfor a two-part series finale. The series finale will allow the massive cliffhanger at the end of the second season to be resolved as well as giving fans a proper conclusion as the story finally wraps up. From Eric Kripke (Revolution, Supernatural) and Shawn Ryan (The Shield), season two of this thrilling action-adventure series picks up right where we left off with our heroes. We continue to race throughout history with our beloved team: Rufus (Malcolm Barrett), a scientist; Wyatt (Matt Lanter), a soldier; and Lucy (Abigail Spencer), a history professor, in an attempt to prevent the destruction of our world as we all know it. This season they’ll find an unlikely ally in their quest to ruin Rittenhouse, a deadly organization with plans to change history and reshape reality – even though Lucy’s family has been a part of Rittenhouse for centuries. Still making every effort not to affect the past themselves, they will visit 1692, 1917, 1941, 1981 and more.